The 2018 season is here... Click here for the 2018 Rest of Season Big Board. 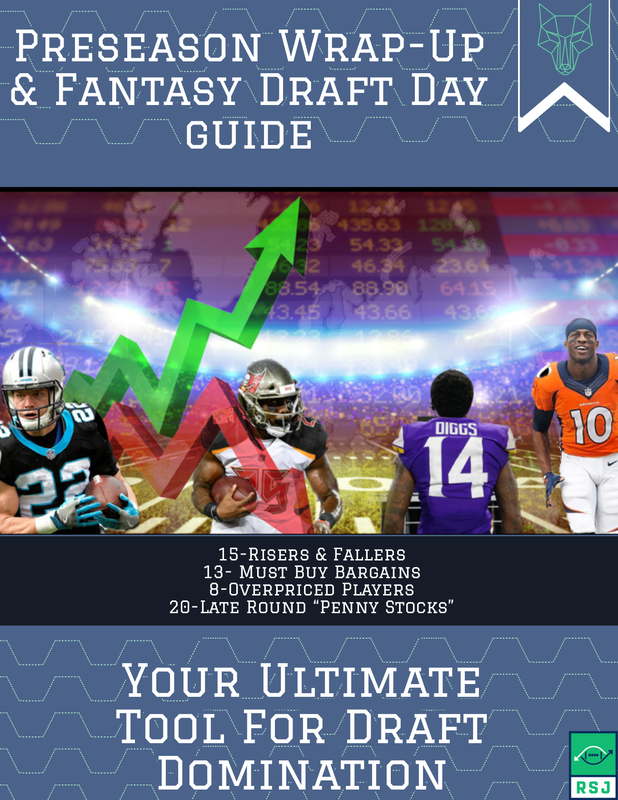 Just like on Wall Street, our 2018 Fantasy Football Big Board and Rankings are updated in real time with each value-swinging move and shake. 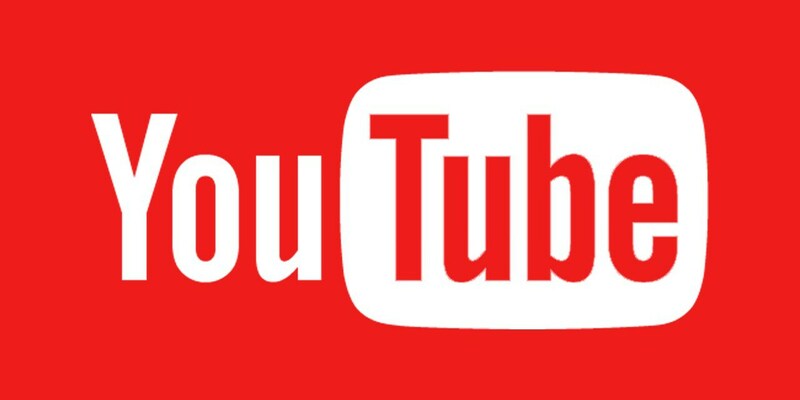 Underneath the rankings, find the Roto Street Stock Watch - breakdowns on all the Risers, Fallers, and emerging Penny Stocks. This season, 12 teams will feature new play-callers. 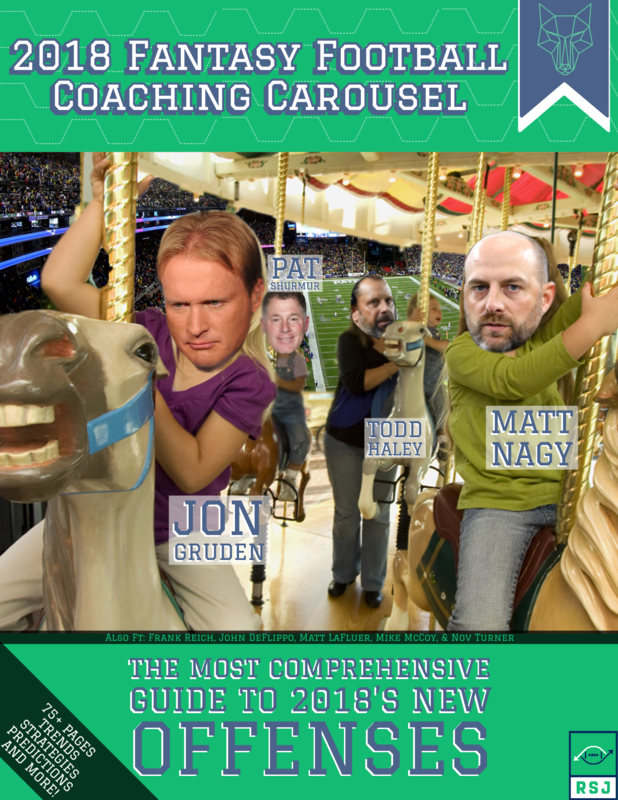 From exciting, fresh new innovators taking play-calling reigns, to old faces inheriting new teams and talent, we break down them all in the 2018 Fantasy Football Coaching Carousel - The Most Comprehensive Guide to 2018's New Offenses. Fantasy Football is truly a stock market. You’re investing principle (a draft pick or auction dollars) into stocks (players) by judging their upside or downside (fantasy ceilings and floors). You need to choose the right time (round) to invest, and hope the value meets or, ideally exceeds, the price you’ve paid. More importantly, and just like on Wall Street, these player values are in constant flux. From coaching changes, to free agency, to the draft and every OTA report in between, fantasy football worths are ever changing. Introducing our 2018 Fantasy Football Rankings and Big Board. Above, you've find my up-to-the-minute Top 100 Big Board, as well as Positional Fantasy Football Rankings. Underneath this are direct links to all of our "Stock Watch" articles, where we breakdown the reasoning behind each move and swing. 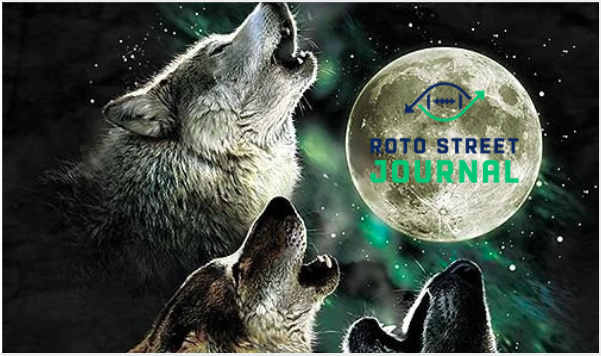 Directly below, you'll find a copy of our most recent Roto Street Rankings Rundown, a LIVE Broadcast where The Wolf narrates his thoughts on each major riser and faller.